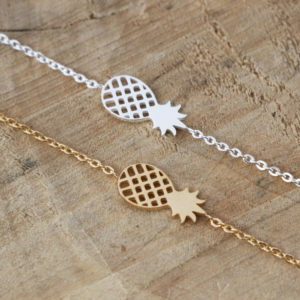 Dainty Sterling Silver (925) Bead Chain Bracelet with a Hexagon Pendant. 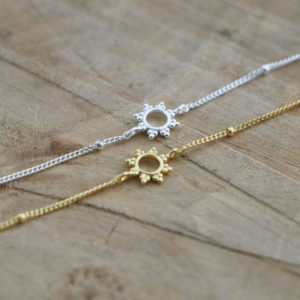 Dainty Sterling Silver (925) Bead Chain Bracelet with a Tiny Sun Pendant. 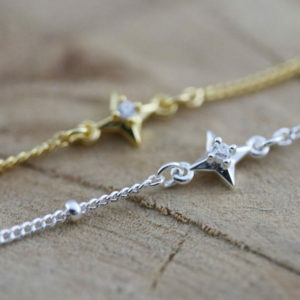 Dainty Sterling Silver (925) Bead Chain Bracelet with a Tiny Star Pendant with Zircon Stone. 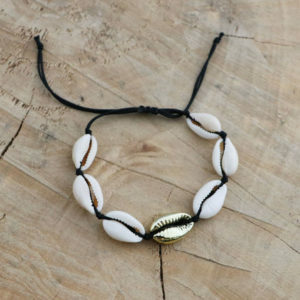 Small Cute and Simple Handmade Bracelet, consisting of four Asian Inspired Discs! 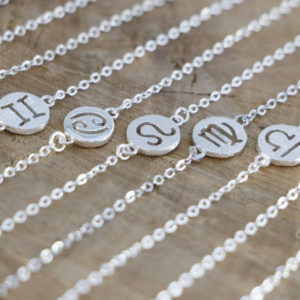 Adjustable in size via the extension chain. 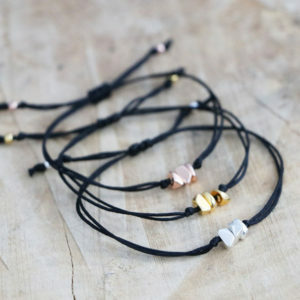 Small Cute and Simple Handmade Cube Bead Bracelet, available in multiple different colors! 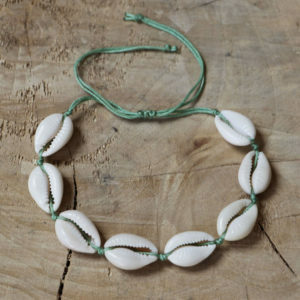 Adjustable in size via the slip knot. 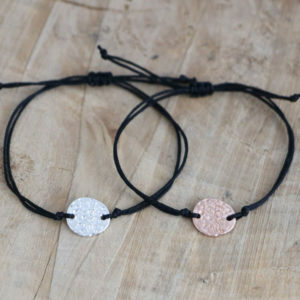 Small Cute and Simple Handmade Love Disc Bracelet, available in multiple different colors! 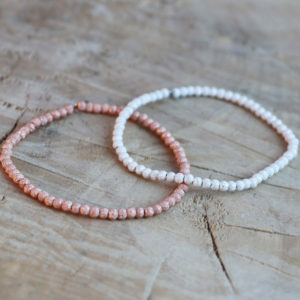 Dainty Bead Bracelet, handmade with Sterling Silver (925) Stardust Beads. 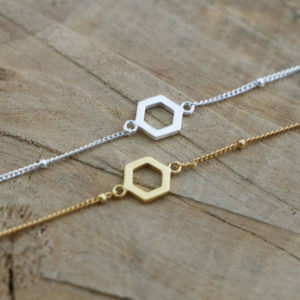 Small Cute and Simple Handmade Hexagon Bracelet, available in multiple different colors! 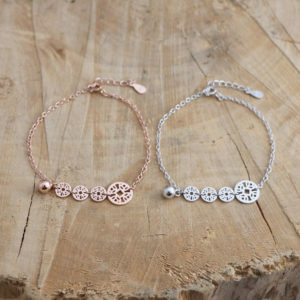 Adjustable in size via a slip knot. 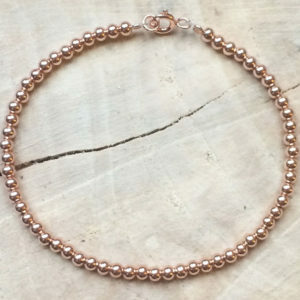 Dainty bead bracelet, handmade with 18K Rose Gold plating over Sterling Silver (925) beads and a clasp. 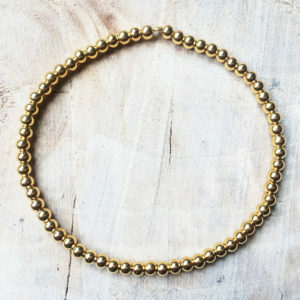 Dainty bead bracelet, handmade with 18K Gold plating over Sterling Silver (925) beads. 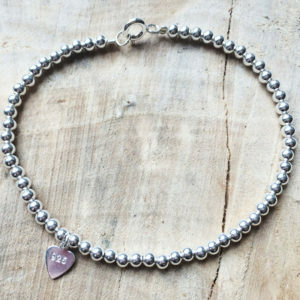 Dainty bead bracelet, handmade with sterling silver (925) beads, a clasp and a small silver heart tag. 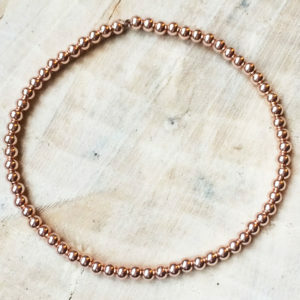 Dainty bead bracelet, handmade with 18K Rose Gold plating over Sterling Silver (925) beads.